If you’re looking for the perfect kitchen appliance that not only acts as a second oven to get those dishes served up hot, but also keeps the food simmering so that there’s hot food ready for the hungry travelers, then this is the product for you. We have gone through endless electric roaster reviews to bring you the best electric roaster available on the market. There are many electric roaster brands available and it can get confusing in which product is the best value for money. We have shortlisted the electric roasters to three finalists that we feel are making waves in the market due to their top quality and exceptional performance. This is considered by us the best electric roaster on the market! Even though this product may not be the cheapest priced electric roaster, it definitely shows that quality pays in the long run. This is our selected top pick because it can do everything a conventional oven can do and much more. It uses less energy which means you save on your electric bills and doesn’t leave the house feeling hot and stuffy. The ‘Circle of Heat’ element ensures a moist, even cooking for your food. 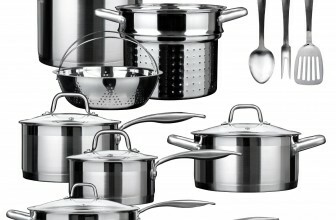 Those of you who appreciate the look and easy maintenance of stainless steel will love this product. You can slow cook, roast, steam, bake and serve with the Nesco 18 Quart stainless Steel Roaster Oven which is priced just slightly over $100. A full review on this product will follow. Priced at around $60, the Oster 22 Quart Roasting Oven is the best deal for your money. Being more spacious means your big, fat Thanksgiving turkey will comfortably fit in it and the self basting lid will save you time, money and heat. Seems like a win-win situation. If you’re in the mood to make some muffins for the kids or to prepare a turkey roast, this roaster oven can handle anything. Dry meat is a thing of the past with the Oster 22 Quart Roaster Oven as it uses the steam from cooking to lock in the juices, so you have juicy, flavorful meals to serve to everyone. Your kitchen can look less cluttered with this economic size and it shortens the cooking time too! Read on to know more! Priced at around $40, the rival 18 Quart Roaster Oven is a steal deal. You don’t have to shell out big bucks to get a good quality roaster oven to get the job done. With a one year warranty, you know that you’re covered. For the big celebrations and special events, your conventional oven may not be enough to handle the cooking capacity required, and this is where the Rival 18 Quart Roaster Oven steps in. This oven is large enough to cook large roasts and saves on your cooking time by serving up food 30% faster than other ovens and also uses up to 77% less energy than your conventional oven! That’s a lot of energy saved! Why you need an Electric Roaster Oven? You may be asking yourself this question, but the real question is, “how have you managed so far without one?” There are times when your conventional oven is just not enough to make the delicious roast for dinner, and the surprise cake to celebrate someone’s birthday. These things need to get done, but it’s not enough when you need those things to get done now. 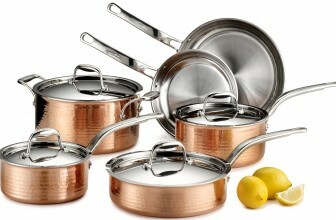 Also, if you have a smaller kitchen space, you can opt for this product instead of going for a large conventional oven. Many houses face a lack of space, especially in urban settings where real estate comes at a premium. This way you can save up to buy things you really need for your home. An Electric Roaster can do everything that a conventional oven can do, and it saves you more time and energy. If you have a conventional oven, you’ll know how the bills can shoot up with hours of cooking. Electric Roasters have been proven to save cooking time and energy. Apart from that, if you used a conventional oven, you’ll know that particular problem when the juices all dry up leaving your food dry. With an electric roaster, all those problems are a thing of the past. The steam is locked in to let the juices flow, so that your meal is mouth watering and succulent. Not only that, it keeps your food warm, so you don’t have to reheat it. When you reheat food, you can lose the flavor and risk the chance that the juices from the food will dry up. An electric roaster is also the answer to fuss free cooking on hot days to keep your kitchen cooler. It is also portable if you want to cook outside or take it to another location. Now you can’t do that with your conventional oven. It is also much easier to clean than a conventional oven. With healthy eating being o the rise, along with eating with the family, the electric roaster has become a thing of necessity rather than one of luxury. Removable cook wells ensure for easy storage in refrigerators as well as easy washing in a dishwasher. If you’re looking for a non-fussy, easy to clean oven, then an electric roaster oven is the answer to your problems. An electric roaster is also the answer to fuss free cooking on hot days to keep your kitchen cooler. It is also portable if you want to cook outside or take it to another location. 1) It should be able to be used for baking, slow cooking, roasting and serving. These are the basic requirements of any electric roaster. 2) There should be a function where it can keep your food warm. 3) There should be temperature control so that you can cook whatever you want at whichever temperature is required. 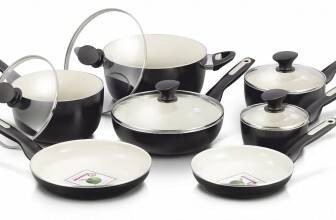 4) The wire rack, lid and insert pan should be easy to remove for easy cleaning and maintenance. If you notice conventional ovens, they are caked with grease and oil after use, and it is a huge hassle to clean it all the time. 5) It should have a manual where it offers instructions on ideal usage. 6) There should be a warranty on the product to ensure that you have no headaches on servicing should anything go wrong. 7) It should be of a decent size to help you with roasting turkeys and other products that take up cooking space. This is our top pick out of all the selections for various reasons. Nesco is an old brand that is renowned for making quality products for over 80 years and counting. When you’ve been in the industry for that long, you must have a really good product. Being constructed in stainless steel means saying bye to lead products that may be harmful for your family and will definitely last longer than the porcelain models. The Nesco 4818-25pr Stainless Steel Roaster Oven can hold up to 22 pounds of turkey, ham or roast, which is great news, because turkeys certainly aren’t compact sized. This means you can comfortably make your food, knowing that anything you want to cook in this Electric roaster will be a comfortable fit. Whether you’re cooking for the family or a community get-together, the Nesco 4818-25 pr Electric Roaster can handle all the demands. If you’re thinking that an oven is such a pain to get cleaned up, then this is the easy clean, simple maintenance option for you. The removable cook well can be used in dishwashers for a hassle free clean up. Now, you can’t put your conventional oven in the dishwasher, so this has already won in our opinion. If you’ve cooked something and want to remove it, the stainless steel removable rack makes it easy to lift out food easily and safely. The stay cool handles always remain cool so that you don’t burn your hands accidentally, and the stainless steel exterior gives a clean finish every time. The Nesco 4818-25pr Stainless Steel Roaster has a patented Circle of Heat element that cooks from all sides to give a moist, even cooking. However, before using it after purchasing, you are advised to plug the Heatwell cord into a 120 Volt AC outlet and turn up the temperature knob to the highest setting possible. The oven should be empty and this process should be done for at least 60 minutes. This will cure your roaster oven, all you have to do is to wait until all wisps of smoke or odors disappear. This is a normal part of the curing process so don’t be alarmed. After it has been cured, turn the temperature knob to the lowest setting and unplug the product from the outlet and leave it to cool. Automatic temperature control that ranges up to 450F for cooking roasts to slow cooking. · Has an operating light. Priced at around $120, the Nesco 4818-25pr 18 Quart Stainless Steel Roaster is better than other models because it won’t chip away like a porcelain product or rust with other types of roasters. The ‘Circle of Heat’ element ensures that you have better baking results, and although the stainless steel version is heavier than aluminum models, it is guaranteed to be healthier. You don’t have to worry about painted models where the paint can easily chip off, making your product look older than it is – the stainless steel will require no maintenance and the appearance will always be shiny looking like new. All in all, this is a great product that lives up to the reputation that Nesco has built up over the years and is worth its value. For the price, this has to be our next pick. Priced at around $60, this is a bargain any way you see it, considering the features it offers. The Oster Company was founded in 1924 by John Oster, who started the company as a hair clipping manufacturer, but has diversified the product range to become a leader in the manufacturing of small home appliances. Now owned by the Sunbeam Company, The Oster CKSTR23-SB 22 Quart roaster Oven is just one of its many successful products sold under the reputable Oster brand. The stainless steel shell of the Oster CKSTR23-SB provides stability so that you have a product that is durable. And is also one of the industry’s largest non-commercial Electric Roasters available. For families who are looking to save money and space can opt for the Oster 22 Quart Roaster because this does all the work of a conventional oven and more! It doesn’t matter if you’re planning a dinner for the family or a meal for a huge party – it can hold up its end of the bargain. With its spacious size, it can accommodate large turkeys for roasting, big roasts or even multiple chickens so that you can have a meal ready to feed the hungry ones without having to wait for two batches to be cooked. It also shortens the cooking time so that food is ready faster as compared to using a conventional oven. If you are planning to cook a roast or you are planning to bake a cake – the variable temperature control dial allows you to play with the temperatures to suit your needs – ranging from 150 F – 450F. Apart from Roasting, you can use the Oster 22 Quart Roaster to bake and slow cook your food to perfection. The Oster 22 Quart has a self basting lid that keeps the food moist and delicious. The self contained roaster keeps the steam trapped within the Roaster to allow the juices to be locked into the food to trap the flavor and aromas so that your food always smells and tastes mouth watering. If you used to baste your food by hand, you can forget about it with the Oster 22 Quart Roaster. The self basting lid bastes your meat for you, saving your time for other things that are more fun – like enjoying family time. Gravies are an important part of any roast or meal – and they taste so good because of the pan drippings. Now you can keep your stove top free for other foods that need to be prepared and let delicious gravy simmer in the roaster pan. The best thing is that there is no mess! The enamel on steel roaster pan and roasting rack are dishwasher safe, so all you have to do is eat the amazing food that has been prepared and just keep the roaster pan and rack into the dishwasher. It is that simple to clean up! If you’re looking to cook outside, the portable-ness of this product makes it an attractive feature. You don’t have to cook inside the house if it is hot in summers. You wouldn’t the house to heat up and become more unbearable than it already is. Just let it cook outside, and then serve the food when it’s ready. The Roaster gets hot while in use, so it is not safe for children to be near the product. May have to try out the cooking times as per your dish and not rely on the cooking directions given. There have been instances of the enamel on steel chipping off. Overall, the Oster 22 Quart Roaster has received very good reviews on many websites with satisfied customers raving about the quality of the product and the final aspect of the food. With its large size, you can cook just about anything in this, and it would be great for people who have large families or have many family gatherings. You can say bye to the days of planning out cooking schedules to use your oven with the Oster 22 Quart Roaster. Founded in 1932, the Rival Company has built a solid reputation over the years for developing and producing quality products and this hasn’t changed to this day. It is now being sold under its Rival name but is a brand of Sunbeam Products, a subsidiary of the Jarden Corporation. The Rival Company is best known for introducing the Crock Pot to the word which became widely popular, and has been known to be highly competitive in the small appliances market. The Rival RO180 18 Quart Roaster Oven is priced very affordable around $40 which makes it a hot favorite in the electric roaster oven category. People who are on a budget but want all the advantages of owning an oven without the major costs involved can be happy with this purchase. The Rival RO180 Roaster is a versatile oven that can roast, cook, bake and serve up to 18 lbs of meat. It is also a very convenient size that takes up minimal space in your kitchen. This would be a great product for people who are space conscious and have smaller kitchen galleys. The Rival RO180 Roaster has two stay cool handles to handle the roaster – although you would be advised to use cooking mitts to be on the safe side. It also features an adjustable temperature setting dial so that you can play between 150F – 450F to cook your meat or bake your cake. For those who are looking to make huge savings overall, the Rival RO180 Roaster uses up to 77% less energy than a conventional oven but it cooks up to 30% faster. This sounds like a win-win situation to us! This also means huge savings in the long run. If you are worried about spending hours cleaning your oven, don’t worry. The roasting pan and the roasting rack can be easily removed for easy cleaning. The great thing about this appliance is that if you get a craving for a roast in summer, you don’t have to have a hot house – the Rival RO180 Roaster uses up little energy, so your house doesn’t heat up like how it does with a conventional oven. For those who are looking to make huge savings overall, the Rival RO180 Roaster uses up to 77% less energy than a conventional oven but it cooks up to 30% faster. It traps the juices so that your meat always comes out tender and moist. It is a great help in big events and holidays like Christmas and Thanksgiving when the extra oven space is needed. You can cook fairly big portions, so you don’t have to worry about figuring cooking timings for your food. 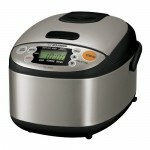 Because of its size, you can cook meat, vegetables, stews, soups, chili and much more. It keeps the food warm by letting it simmer so that you always have hot food to serve your guests. The Rival RO180 Roaster has proven to be a favorite amongst many customers with its affordable pricing and attractive features. This is proof that you don’t need a big brand or high priced products to deliver results. This is a great option for anyone who is looking for a second oven, a roaster for a small kitchen and for anyone who is looking to make savings overall. There are many questions that have been asked over the years about electric roasters. Many of the roasters that were made of porcelain are now being produced in stainless steel. Here are a few popularly asked questions about electric roasters. 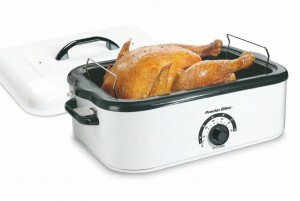 Q. I am aware it states ‘Roaster’ in the titles, but can this also be used as a slow cooker? Yes. You can use this roaster oven to cook food like a slow cooker. A slow cooker heats up slow, has a sealed lid and can stay on warm setting over 24 hours. Does a roaster have all those feature? They don’t have a “warm” setting. Warm settings are only recommended for 4 to 6 hours. Just purchased a roaster, but it arrived with no owner’s manual, instructions or warranty. Where can I get instructions? You can download it from their website and will be available in a PDF format. What can I cook or bake in a roaster? Only chicken and meat? You can use the roaster to bake ribs, to make large batches of baked beans and sloppy Joes, make turkey on Thanksgiving and Christmas, use the baking rack to bake potatoes, veggies etc. To conclude, having an electric roaster is an advantage for your home, as it acts like either a primary or secondary oven, depending upon your budget and home. With so many choices that fit your budget or requirements, it has never been easier to own one. With the amount of features offered in each option, you can slow cook, roast or bake – and even serve! It is a versatile kitchen appliance that is fast becoming a requirement for every household.